The Bohaty's 2013 Open House & Sale - and darned if I didn't find I have a few words that had to be spoken about the upcoming BWCAA meeting and election of 3 board members . 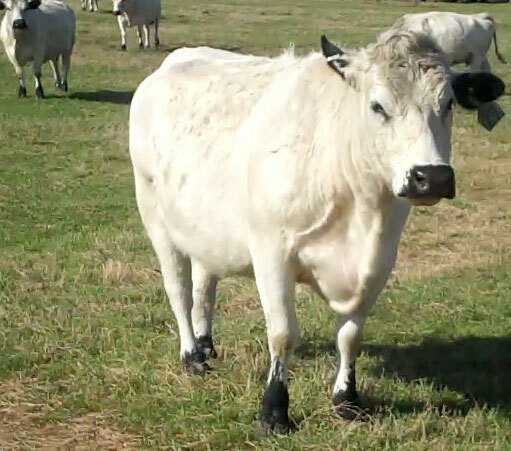 . .
Every April for the last decade I always know the Bohaty's will be having their annual British White Cattle Open House and Sale. I've been fortunate to make a few of those sales when the gatherings of folks from across the country was a sight to see, and the conversation and camaraderie of members and newbies was a source of knowledge and inspiration and . . . just generally a gratifying trip to this rural community in the cornfields of Nebraska. You can fly in to Omaha and see the sights of that great city's Old Market area - it is filled with very lovely shops and restaurants, just lots of history there. Even in these difficult days for the USA - it feels safe, relaxed, and just a great American experience. Bellwood is an easy 2 hour drive from Omaha after a comfortable evening of dining and strolling through the old district -- I was surely looking forward to that once again! But, that wasn't in the cards. I was already nervous about travelling, it had really been a while since I'd traveled alone. Lots of you know I cared for my elderly dog, Fred, the past few years to the point no doubt of some sort of neurosis - but you very kindly smiled with understanding when I missed every single British White event of importance in favor of staying home with my little Fred. But Fred passed away in March of 2012, so I essentially had no single reason not to hop a plane to the Bohaty sale. But then the weather got weird and I started imagining driving in a little rental, with snow chains, without snow chains; asking myself can I even put on snow chains? Remembering hydroplaning on ice in years past, wondering if I could handle it now? My imagination was running wild and literally left me in tears, I wasn't even sure who the heck I was anymore! Where was the Jimmie who'd go anywhere/do anything at the drop when called on? 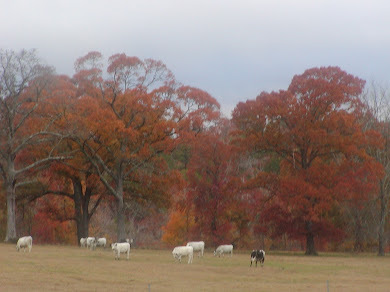 And then there were the cows. 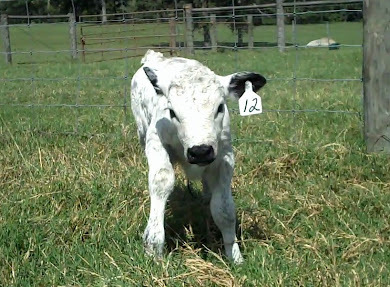 My cows are always dropping calves in April. 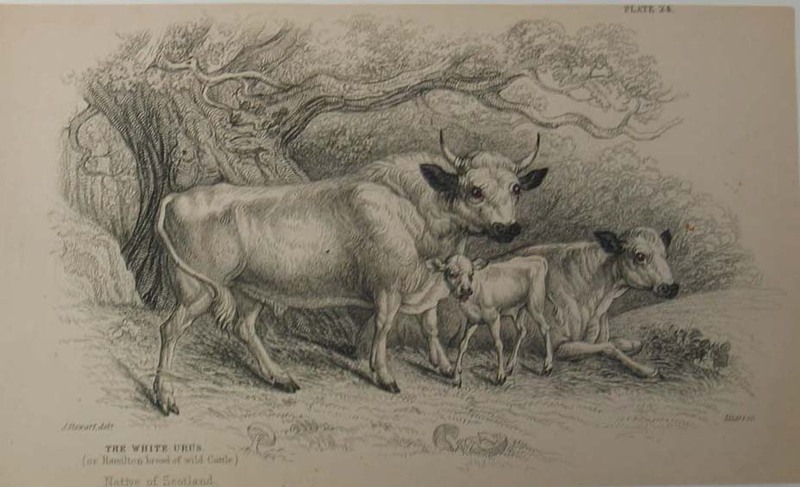 But, that looked like it would work out based on all my scribbled notes in my daily cow journal, and running observed breeding dates through a gestation calculator and all that. I was able to thoroughly convince myself that nothing would happen while I was gone, that nothing would be missed, that my own instincts and eye on things wasn't any better than anybody else's oversight . . . almost. That's a hard one for me, but I am working on it. Anyway, I am rambling a bit, imagine that :). The point is -- I did not make the Bohaty sale! Felt like a complete coward and failure as a friend to those fine folks, Walter and Nancy Bohaty. Of course that sale went off without a hitch despite my mouthy presence to bend the ear of every one I encountered. The Bohaty sale was attended by members of the BWCAA as well as the ABWPA and there were countless newcomers interested in the breed attending. The Bohaty's are charter members of the BWCAA, but after the grief of last summer Nancy did join the ABWPA - and I am a member as well. 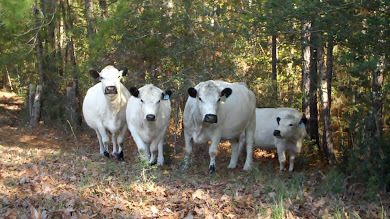 Walter and Nancy Bohaty know better than most anyone the true and real kinship of the 'white' cows of both associations, and I've no doubt many will follow their lead in the years to come despite the lame rhetoric of influential members who appear to explore letting us join together one year -- and trash them the next -- truth wins in the end. In the event you don't know - Walter Bohaty's participation in the BWCAA predates any other member in a leadership position right now. Did you now that? Walter Bohaty has been a productive board member of the BWCAA off and on for years - I can only wish I realized how much I should have respected every word and thought of Walter's when I was on that board. 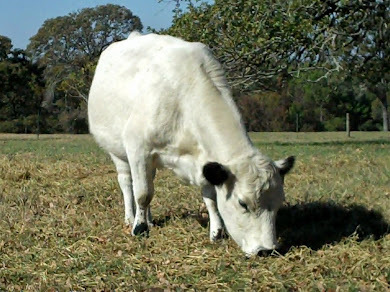 Walter and Nancy up until just a few years back had the single biggest herd of British White cattle registered with the BWCAA. 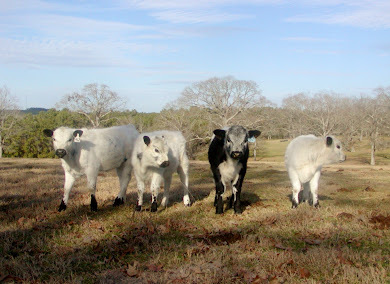 Right now, I don't know who has the biggest registered herd as our Association doesn't give much public information in that regard and I'm no longer a welcomed insider. 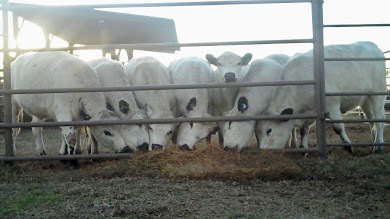 Regardless, their support of the BWCAA has been critical to its financial success for any number of years -- as in their herd fees paid a hell of a lot of our bills that kept the BWCAA on it's financial feet. As many of you know, Walter Bohaty and Linda Hohenwald of RLC Farms, current members of the Board of the BWCAA, were subjected to potential personal and professional ruin by some element of the BWCAA just this past summer. It seemed a very personal and irrational event, actioned under the official umbrella of the BWCAA. It was a very poorly thought out attempt to force the Bohaty's and Linda Hohenwald not just off the board of directors -- but to strip them of their basic membership!! if they refused to resign from that board -- and it proved to be a very costly action. How interesting that one of the founding members who has contributed the most to the financial bottom line of the BWCAA had to see part of those hard earned dollars used against them!! Now we come to today. Here it is May 1st, 2013. We all got that letter from the president of the BWCAA informing us of the nominees and their cute Bio's for the three upcoming open board seats. Groovy. And I've not a single reason to think any one of them would not be productive board members. But it is plain odd. I literally thought that the board must have made a bylaw change effecting election of board members that I missed. Remember that stink last year? They tried to pass bylaw changes to the election of board members without membership approval? I immediately assumed upon receipt of that letter that they'd managed to do it and I had missed it. Not so. I would imagine if I thought that must be what had happened, then many of you did as well, and still do, think the same. But there simply have been no changes in the method of election our board members. Apparently, neither Walter Bohaty nor Linda Hohenwald were asked if they wished to run again for their Board seats!!! All outgoing Board members are asked if they'd like to run for another term -- not this time. Surprised are you?? Not really a surprise to me either. I would also add that while I was on the board one of my very biggest surprises was driving all the way to some horrible tourist town to discover a board nomination that was a done deal that I'd been told absolutely nothing about - lots of precedent on this score. But, this so-called "President's" letter, its presumptive tone, its lack of explanation in regard to Walt and Linda, is in my opinion clearly yet another effort to control this upcoming election. The fact is, any one of you who would like to be considered as a member of the board can have yourself put on the ballot for the election at the upcoming meeting in June in Snyder, Texas. The fact is any one of you can give your proxy to either Walter Bohaty or Linda Hohenwald and have them vote for you at that meeting. Heck, I think you could even give it to me -- but I will not be there unless of course I learn that Walter Bohaty and Linda Hohenwald have been asked if they wished to run once again for a seat on 'our' board of directors, and they will be properly placed on the ballot at the meeting. Even then, it's a bit far for me to drive alone and I would have to make that trip on my own - as my chauffeur has refused. I know that our delightful member, Carolyn Barbee, will put on a great meeting; certainly last years meeting was very interesting and entertaining - even watching a member at the annual meeting doing the old finger across the throat with great zest in an attempt to signal the board to squelch any further questions from the membership - I still look fondly back at that with great amusement! If you do get a proxy request in the mail from the BWCAA, please explore what you are giving up, and who you are giving it to very seriously. At the last election there was no disclosure, absolutely zero, of the number of proxies held, who had signed over their proxy, how those proxies were voted . . . nothing. And zero oversight recorded during the vote or afterward in the minutes which is a violation of the rules as I understand them. This is not high school. This is not a popularity contest; it is not about who is the big man on campus; student body president; voted most popular; voted most helpful . . . etc.... This is our world, our business, our livelihoods impacted -- NOT the future of our hobbies or social standing!!! Dang, I really did not intend to do anything more than publicly apologize to the Bohaty's for letting them down by not making their sale!! The Sunday morning of their sale weekend I had a pretty little heifer born, she is just so cute, and I immediately thought to myself . . . that will be Nancy Bee, and how perfect!! 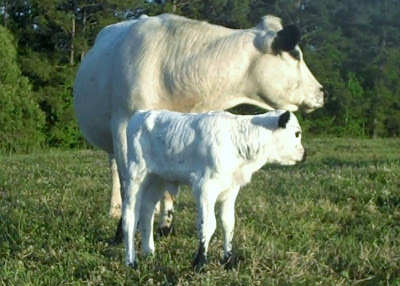 I so adore the name and am hopeful she will be the matriarch of a nice line of calves that will bear a continuation of that name. Here is the video that I finally got edited and posted to YouTube just this afternoon. I do hope you enjoy it!